Knowledge sharing is an important research area in knowledge management. 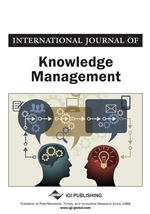 This study broadens the perspective on knowledge sharing by investigating an individual’s behavior type as a cooperator, reciprocator, and free rider toward knowledge contribution. In this study, we view shared knowledge in a community of practice as a public good and adopt a theory of reciprocity to explain how different cooperative types affect knowledge contribution. In the perspective of shared knowledge as a public good, people may react in three ways: they share knowledge without need for reciprocity (cooperators), they feel obligated to share their knowledge (reciprocators), or they take knowledge for granted (free riders). Analytic and simulation results reveal that the fraction of cooperators is positively related to total knowledge contribution and to the reciprocity level, while the reciprocity level positively affects knowledge contribution.